Nowadays, sports betting has become increasingly available and easy to engage in. Here we examined the neural responses to stimuli that represent sporting events available for betting as compared to sporting events without a gambling opportunity. We used a cue exposure task in which football (soccer) fans (N = 42) viewed cues depicting scheduled football games that would occur shortly after the scanning session. In the “betting” condition, participants were instructed to choose, at the end of each block, the game (and the team) they wanted to bet on. In the “watching” condition, participants chose the game they would prefer to watch. After the scanning session, participants completed posttask rating questionnaires assessing, for each cue, their level of confidence about the team they believed would win and how much they would enjoy watching the game. We found that stimuli representing sport events available for betting elicited higher fronto-striatal activation, as well as higher insular cortex activity and functional connectivity, than sport events without a gambling opportunity. 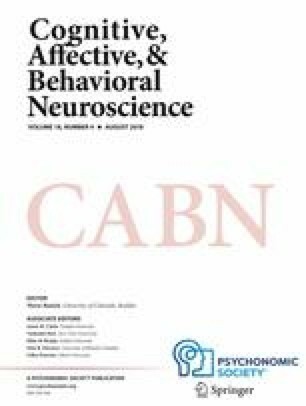 Moreover, games rated with more confidence towards the winning team resulted in greater brain activations within regions involved in affective decision-making (ventromedial prefrontal cortex), cognitive inhibitory control (medial and superior frontal gyri) and reward processing (ventral and dorsal striatum). Altogether, these novel findings offer a sensible simulation of how the high availability of sports betting in today’s environment impacts on the reward and cognitive control systems. Future studies are needed to extend the present findings to a sample of football fans that includes a samilar proportion of female and male participants.